This hearty salad recipe is full of flavour from lemon, mint and feta, yet can be whipped up in minutes and makes a wonderful addition to a summer buffet or midweek supper. 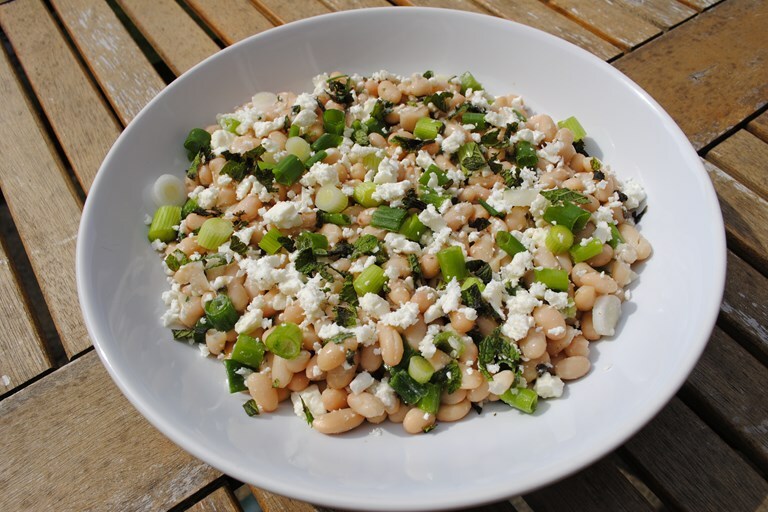 Beans are a useful budget ingredient, making this easy salad from Dannii Martin a great low cost recipe, too. A lot of people have the idea that salads are expensive and boring, but this salad definitely proves otherwise. It makes the perfect addition to any barbecue, picnic or gathering that involves food. If you needed any more convincing to make this dish, it is ready in minutes (if using precooked beans), so you can be out in the garden with your friends and family enjoying yourself, rather than stuck in the kitchen. You can use any kind of beans that you have available, or whatever is on offer to make it even more budget friendly, and I sometimes like to change it up and use broad beans or peas instead, or use a mixture of them all. Adding in peas gives it a pop of colour and bumps up the protein content too. Another nice variation is using different cheeses, like grilled halloumi or a soft goats cheese.